If you constantly crave a hit of nasal-clearing wasabi and the tingle of palate-cleansing pickled ginger, you’re among the many in our pretty city and the whole world who’ve been swept away by the global tide of sushi infatuation. Though, you’re likely also one of the many fish in the sea who’ve felt distraught that this popular Japanese cuisine often comes at less than popular prices. Luckily, we have a solution. 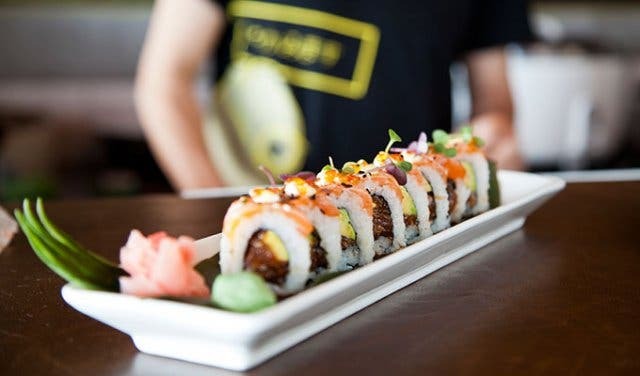 To feed your addiction and keep the crunchy prawn tempura and creamy salmon rose withdrawals at bay, tuck into our guide to budget-friendly sushi restaurants in Cape Town and surrounds. 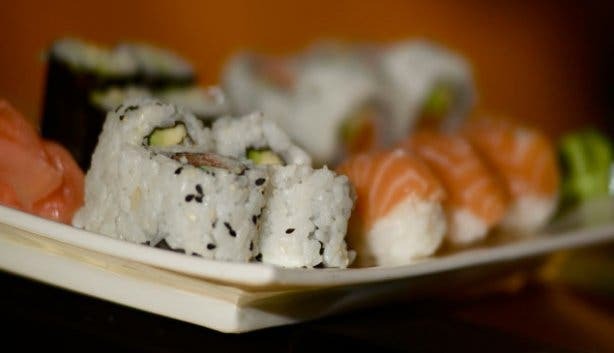 We’ve scouted out authentic Asian restaurants and seaside eateries offering top deals when it comes to all-you-can-eat sushi buffets, half-price specials and daily discounts. Here’s where you can enjoy bite-sized fare at equally pocket-friendly prices. Only pay for every second plate of the freshest sushi when you enjoy the biggest sushi belt in South Africa at Asami’s in Tygervalley. 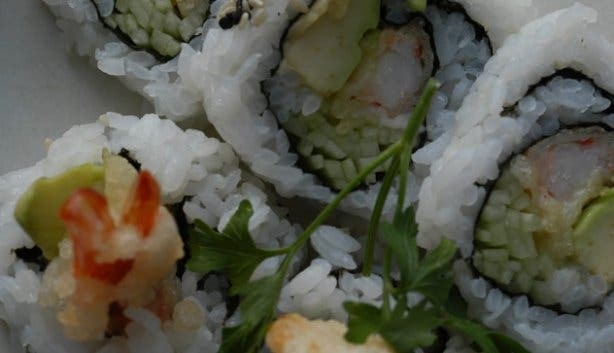 Or head to any of the sushi and Asian cuisine restaurant’s four branches to snag up this deal all day twice a week. You can even have sushi for breakfast! 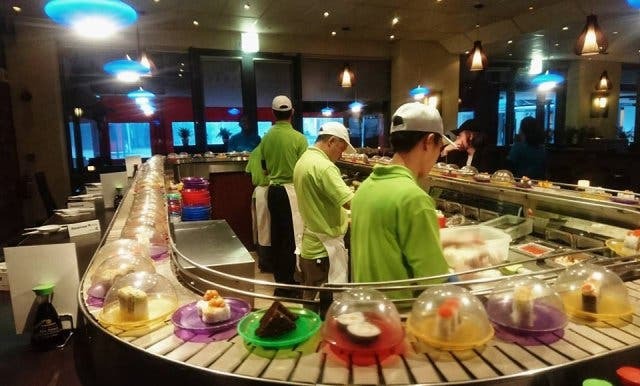 There’s also an all-you-can-eat sushi buffet for R179 (kids buffet is R115) including some non-sushi items from the kitchen. There are also plenty of combo specials on the menu. Read more about Asami’s. If you thought it was hard to find quality sushi at low prices at the V&A Waterfront, think again. The V&A Food Market, which offers quality artisanal foods and budget prices seven days a week, has a few quality offers. With fresh sushi plates starting at R40, the conveyor belt friendly, Sushi to Go, is a winner for taste and convenience. The Thai Hut is also a popular spot for sushi lovers looking to enjoy a rainbow roll or two in the vibrant market atmosphere. And while Hokey Poke is not strictly “sushi sushi”, it does make a mighty fine meal and deal about raw fish salads. Located next to the Watershed, inside the beautifully restored Old Power Station, the V&A Food Market is the perfect place to pop in for sushi after a hard day’s shopping. It’s also open long and late – 10am to 7pm Sundays to Thursdays and 10am to 8pm on Fridays and Saturdays (May to October) and 10am to 8pm and 10 to 9pm on Fridays and Saturdays (November to April)with plenty of tables inside, upstairs and outside, which just happen to look over Table Mountain and the docks. Need we say more? A real treat for those in the market for a VIP experience at plebeian prices, the Cape Town Marriott Hotel Crystal Towers exclusive half-price sushi offer gives the public the chance to tuck into affordable fare on the Century City property’s stunning suspended pool deck every Thursday from 4:30pm to 7pm. Everything on the sushi menu, from simple Vegetarian Maki to full-on Sushi Platters for Two, is marked down 50%, and before or after chopsticking, bargain hunters are encouraged to take a swim in the gorgeous, aquamarine pool. The swimming hole is positioned to give guests quintessential views of Table Mountain, Lion’s Head and Signal Hill, and live music helps set the mood for a sultry evening. Not to mention, the hotel’s bar conjures up a range of colourful cocktails that go hand in hand with the breathtaking sunsets and delicious California rolls, fashion sandwiches and sashimi. Opening Times: The special runs every Thursday from 4:30pm to 7pm. Thoughthis stylish Asian fusion restaurant does ocean-fresh sushi every day of the week, it’s on Tuesdays that you can really strike a deal thanks to an all-day 2-for-1 special. The bargain applies to all the classic sushi items (maki, sashimi, California rolls, salmon roses, handrolls, nigiri and fashion sandwiches), but if you’re willing to pay a bit more, we recommend trying a few of the inventive alternatives, like the Tommy Taco (a corn tortilla layered with tuna tartare, sashimi and avocado) or the Italian Job (filled with Parma ham, mozzarella and tomato). As Manga – the name refers to a style of Japanese comic books – sits right opposite the Mouille Point promenade and is encased in glass, you can pair your sushi with sensational sea views and cocktails or saké. Arrive between 5pm and 7pm and you can even enjoy 2-for-1 craft beer and house wine. 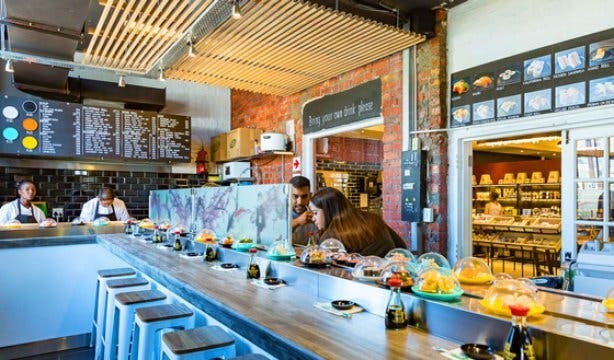 Catering to serious sushi lovers, late night revellers and those prone to spontaneous cravings, this simplistic hole-in-the-wall eatery offers a R129 all-you-can-eat sushi special that’s bound to get mouths watering and chopsticks flying (the special is on offer from 12pm to 10pm every day). A hidden gem tucked away on Sea Point’s busy Main Road, Xiang Yuan dishes up a treasure trove of authentic Asian cuisine at reasonable prices. Its long opening hours (it only closes at 3am) ensure that partygoers and sushi heads alike can enjoy the fruits of the sea at almost any time of the day. 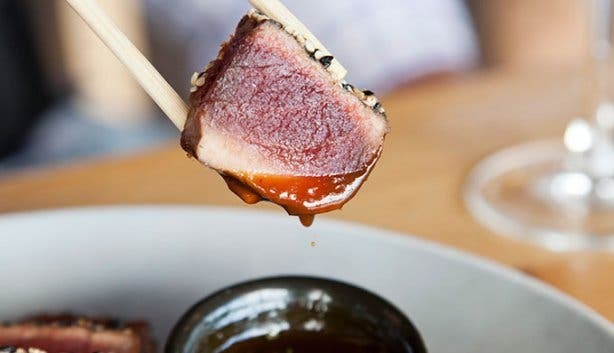 This popular Northern Suburbs sushi bar offers a sensational rotation of bite-sized fare at bargain prices. 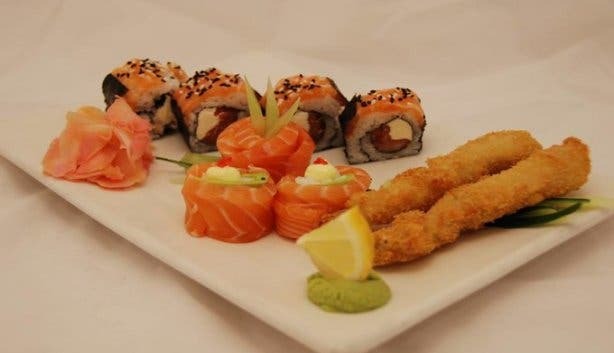 Their daily all-you-can-eat sushi special, priced at R139, allows you to enjoy a surplus of perfectly prepared portions at a palatable price. Additionally, if you don’t think you can stomach quite so much seafood, the Asian eatery’s smaller, individual plates are sold at discounted prices (count on getting around 30% off). Choose from favourites such as Crispy Duck Rolls, Bean Curd Nigiri or Seared Tuna and Cheese Rolls. 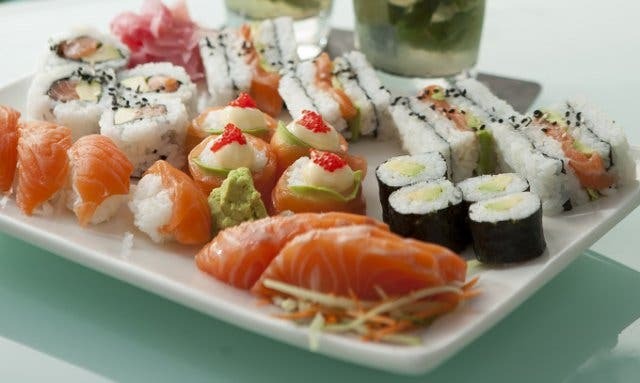 For fresh, flavoursome fare get down to Active Sushi, located in the heart of Cape Town City Centre, and prepare to chow down on their all-you-can-eat sushi special, it’s on offer every day from Monday to Saturday for only R119. Though, make sure your eyes aren’t bigger than your stomach; the eatery charges R5 for each piece of sushi left on your plate. 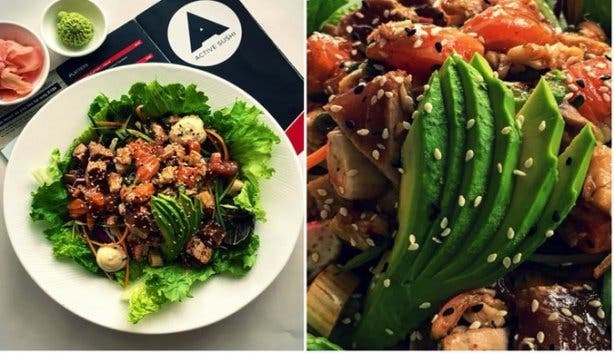 Additionally, the easy-going restaurant dishes up reasonably priced lunch specials ideal for worker bees looking for a quick, cheap bite. 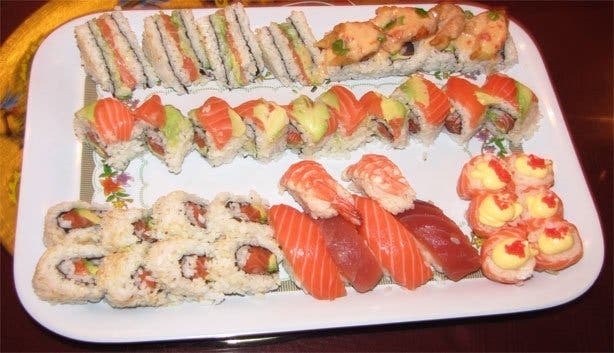 Platters of 16, 18 or 20 pieces of sushi go for R50, R60 or R70, respectively. At this seafood eatery located in the quaint fisherman’s village of Hout Bay, you can dine on sushi at water’s edge. Savour fresh fare on the expansive wooden deck suspended over the ocean as you take in views that sweep over the bay and out to Chapman’s Peak. Grab a chair at the outdoor sushi and oyster bar and choose from options such as the Prawn Crunch Roll (deep-fried Panko prawns and avo topped with sweet chilli sauce) or the Tiger Roll (prawn and avo topped with wasabi mayonnaise, caviar and sesame seeds). Though the restaurant doesn’t offer regular specials, they do, from time to time, market their fresh catch for discount prices; simply phone prior to arriving to see what’s being dished up for the wallet wary. 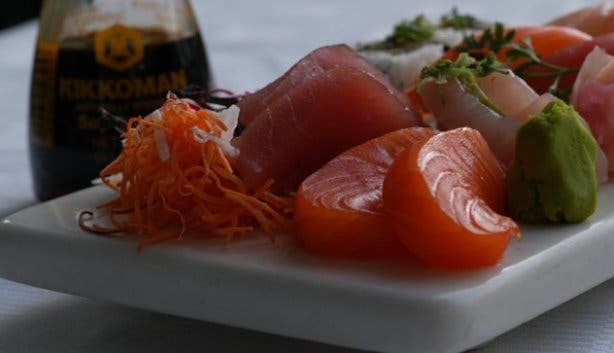 A stalwart among the array of Asian restaurants in Cape Town’s seafront suburb of Sea Point, Empire Asian provides top-quality sushi at rock-bottom prices. 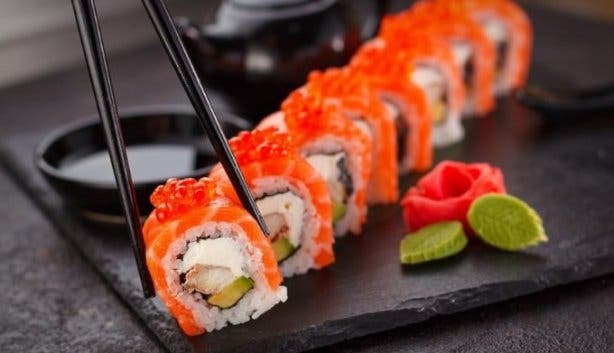 Dine all day (between 10am and 7pm) on delightful bite-sized fare at a constant 50%-off discount or tackle their all-you-can-eat sushi special priced at a very reasonable R119. 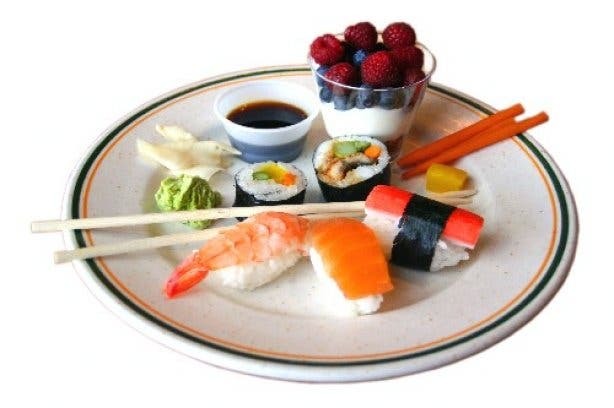 There is also a 20% discount on al a carte sushi orders. 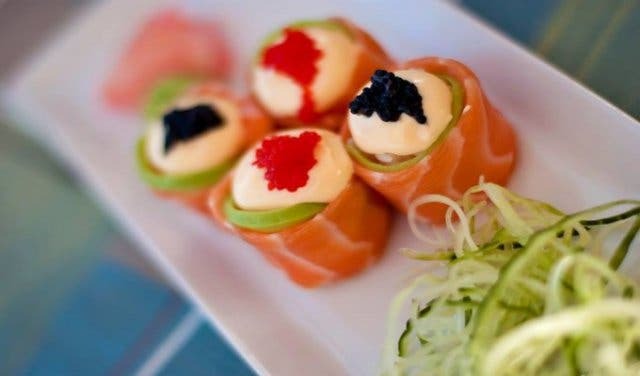 Choose from innovative ingredient combinations, such as the New York Roll (smoked salmon, avo, cream cheese and caviar) or the Gift Wrap Roll (salmon and avo inside a salmon and caviar wrap), and watch the hustle and bustle of crowds passing by in the street outside. Tucked behind McDonalds on bustling Kloof Street, this unassuming Asian eatery is a penny savvy fast food fix popular among locals and those-in-the-know. 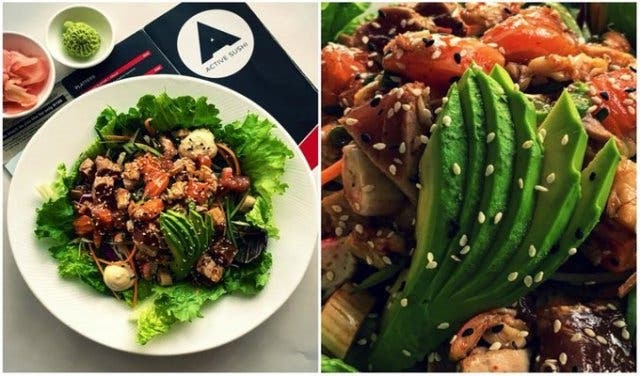 Daily (Monday to Saturday) “buy two plates, get one free” sushi specials offer up a rainbow of raw deliciousness at affordable prices. Perch on the high stools around the central sushi bar and watch the master chefs at work or, for a more relaxed setting, select a seat at one of the outer, more intimate tables. Dine on all the favourites, such as Salmon Roses, Prawn Tempura and Tuna Fashion Sandwiches. Also, keep in mind that the special applies to take-away orders. Anchored in the fast-paced Observatory strip, the Blue Marlin Asian Cuisine restaurant offers sushi lovers a tasty array of unbelievable deals every day of the week. Monday and Tuesday houses the full sushi buffet for only R129; the special even includes one draught beer. The popular California roll is available in generous portions – patrons can order a 40- piece platter for R99 from Monday to Sunday. 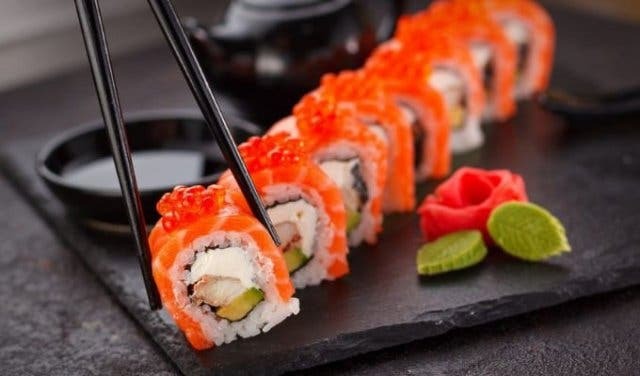 Other notable specials (that are available every day) is the Blue Marlin Special that is a 34-piece delight (includes salmon & tuna sashimi, salmon, tuna & prawn nigiri, avo maki and tempura rolls) for R160. Say kon'nichiwa and discover Japanese culture at the rugby edition of Japan Day. 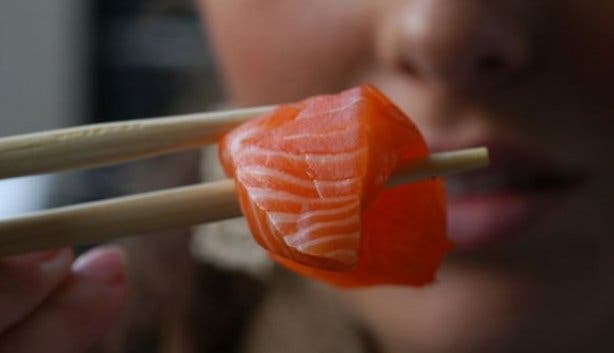 Break the sushi mould and find a new use for your chopsticks at these Chinese Restaurants in Cape Town and surrounds. Also check out the 2-for-1 after-work specials at Roast & Co.